Are you planning to move Australia in 2018? Well, you must prepare for it now in terms of choosing the right immigration programs and getting all the required documents, etc. ready. Immigration to a new country has become challenging in last few months. Hence, advanced preparation has become must deal with the challenges in this regard. Overseas immigration was not all that difficult few years back, however, it has gradually become challenging in view of various reasons. Let’s take a look at few of these reasons. The immigration rules and procedures in most advanced countries have become stricter in last couple of years. The countries like USA, UK, Denmark and even Australia has made their immigration rules and procedures stern in last few months. Hence, to deal with the complex visa and immigration rules is not all that easy now, as it has been few years back. Australia is one of the key immigration destinations across the world. 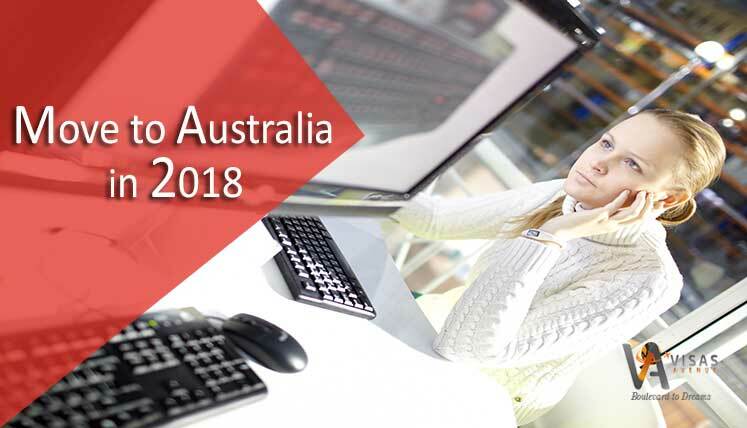 It not only provides the best lifestyle, and infrastructure to the new immigration but also offer the top wages to the skilled works applying to work in high demand occupations in the Oz. Australia every year releases a list of high demand occupations, i.e. Combined List of Eligible Skilled Occupations. The skilled workers from different parts of the world apply for relevant visa categories to work in these occupations. Hence, the DIBP (Department of Immigration and Border Protection) every year received the huge number of application from the applicants. So, if you are an applicant for the Australian visa, you need to be the most deserving of all aspects to survive the competition and secure your place. Every visa category has been designed for the particular category of applicants and hence, it needs certain requisites in the applicants as well. For instance, employer-sponsored visa needs sponsorship from the employer in Australia. Nominated visa needs a nomination from an Australian state or territory, etc. If you are a skilled worker looking to get Permanent Residency (PR) in Australia, the Skilled Independent Subclass 189 visa is the best visa to go for. It doesn’t demand any employer sponsorship or state nomination. You can submit EOI (Expression of Interest) to apply for this visa through the SkillSelect online system. If you need documentation process assistance to apply for Australia’s Subclass 189 visa, you may contact highly experienced visa and immigration expert at Visas Avenue Immigration. You may call the expert at Toll-Free Number– 78-18-000-777. Alternatively, fill and submit the free assessment form here to get the call back from the immigration expert at Visas Avenue.